Business Communications Manager is the award-winning Linux based IP/TDM PBX convergence system for small and medium enterprises. It offers one common feature-rich software stream on both the Business Communications Manager 50 or Business Communications Manager 450 platforms. This system is ideal for companies that want to streamline internal operations, improve remote communications, increase employee productivity, reduce costs, and enhance customer service. Business Communications Manager delivers a common browser-based management platform that delivers unified communications capabilities, proven and reliable voice processing, and an extensive range of feature-rich business telephony applications. Business Communications Manager offers a full suite of applications that include voice messaging, unified messaging, interactive voice response, multimedia call center and wireless capabilities. These applications let your business reduce costs, improve productivity and customer satisfaction. 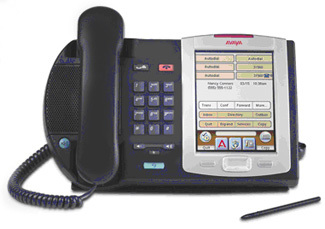 Take advantage of VoIP and SIP trunking to lower monthly local and long-distance calling costs. Business Communications Manager also delivers energy savings of up to 48% compared with Cisco UCME-3845. Advanced applications, including mobility, enable employees to be easily reached no matter where they are. Efficient call routing and automated attendants help customers reach the right person quickly. Multi-site locations are easily managed through centralized, integrated remote management and administration solutions, removing the cost and time associated with having to administrator every site on location. These options include power, fans, and hard-drive with the ability to automatically switch over to backup capabilities without any service loss.